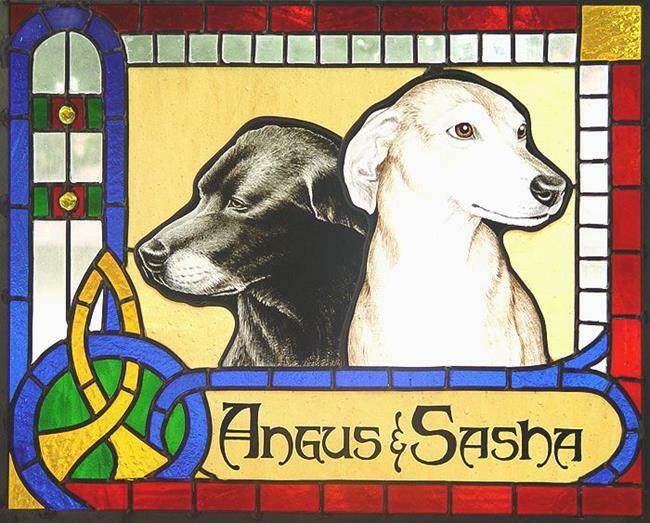 Angus and Sasha, the loving companions of the wonderful pet portraitist Jenny Doss, are SUCH beautiful dogs! Their personalities seemed to just jump out of the reference photos. Since Jenny has a thing for things Irish, I put them in a Celtic border with glass nugget accents and used traditional cathedral glass to invoke Medieval windows.